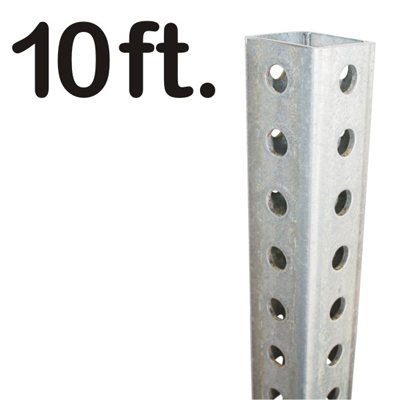 10' Posts are our most visible posts and tower above traffic and pedestrians. 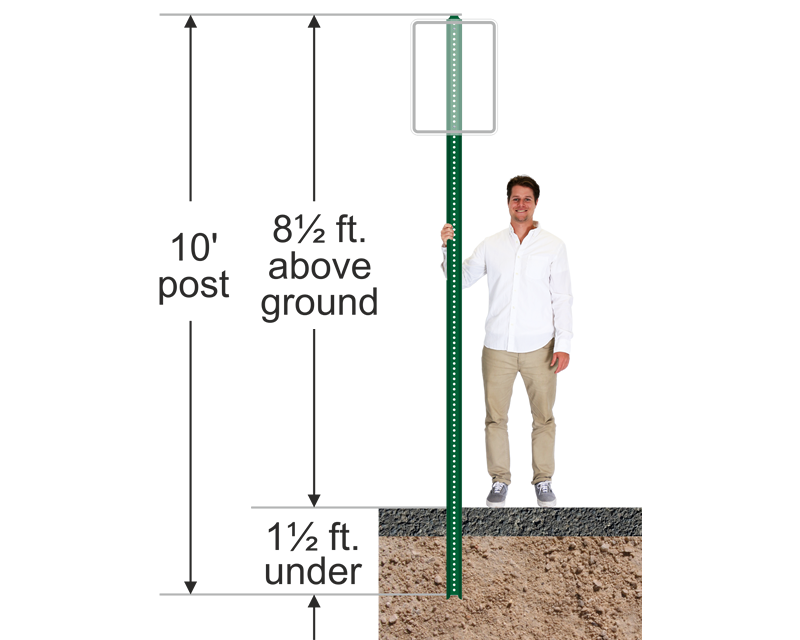 Posts allow you to easily comply with federal regulations requiring signs to be 5' above street level and 7' above urban streets. These 10’ posts allow you to hang signs in multiple locations. 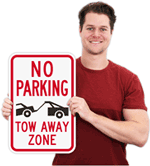 Arrange a “totem pole” of signs, arranged according to your visibility needs or priority. • 10’ posts are best for 18” x 24” signs and allow the signs to be seen above tall SUV’s. 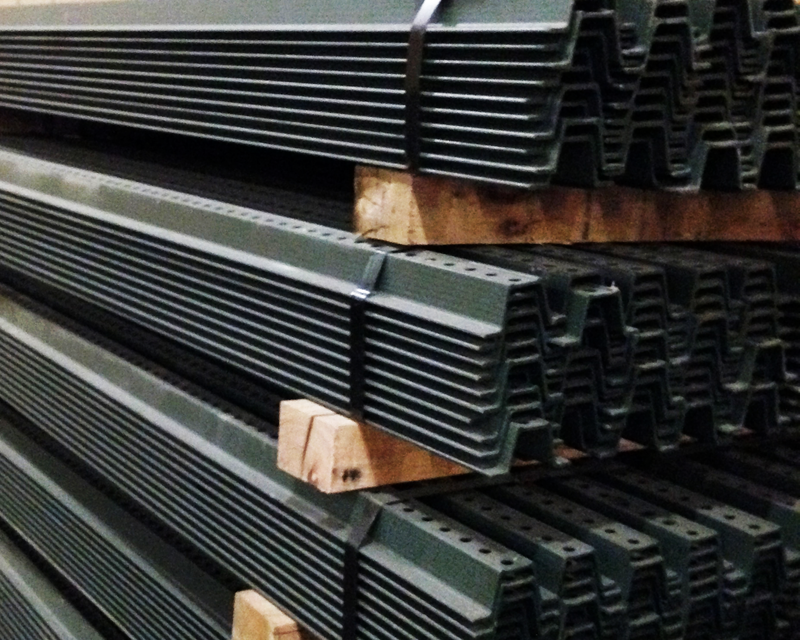 • Longer posts must be shipped via a trucker. In most cases, the minimum trucking fee is $75.00. We have had too many customers (understandably) upset with a shipping bill that is $125 for a post that, itself, that costs a fraction of this. 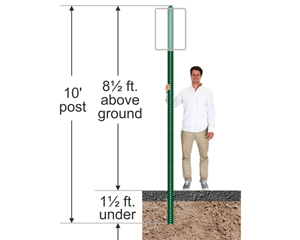 • In many cases, it is easier to buy two smaller posts (a 3’ for the bottom and an 8’ on the top and bolt them together). There is further benefit too – you do not have to climb such a high ladder to drive the post into the ground. A heavy sledge hammer is tough enough to wield with two feet on the ground, let alone when you are precariously perched onto a ladder. • Want to learn more? Questions? Don't hesitate to call our live support line. 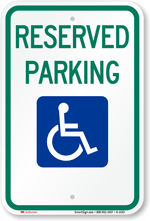 Breakaway Systems are the most cost efficient way to install signs. 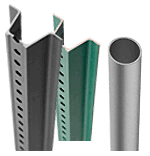 Install the base only once and replace the posts as often as needed.